Use this unique wall mirror to embellish your home interior. 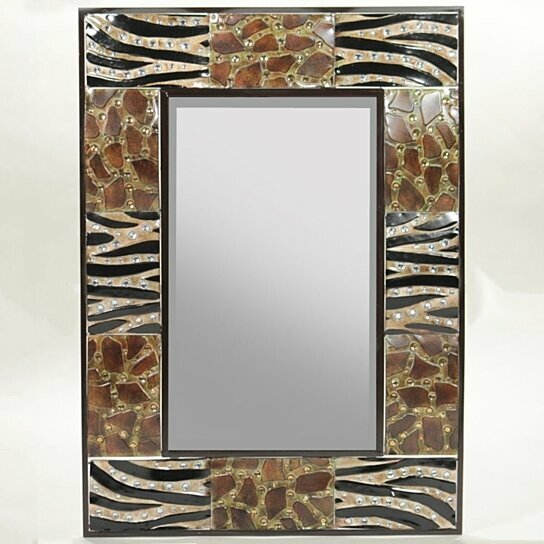 It has an alluring animal print on the frame and is rectangular in shape. This Mirror can be used to decorate your entrance or lobby area to welcome your guests in style. You can also mount this mirror in your living room or bedroom for a classy look. It will transform your home interiors in the most easy and quickest way. It should be handled with care so that it last for years together.